The GH5 is the best video-centric portable camera in recent memory and the aim with the G9 is to go after the Sony a9 which is arguably the best stills camera ever conceived performance wise. The G9 is capable of shooting 60 RAW images in a single burst per second and while the buffer is only 50 RAWs worth; it becomes easily renewed thanks to dual card slots. 5-Axis Sensor Stabilization; Dual I.S. 2 6.5 stops worth! 6K PHOTO & 4k Photo Mode with Pre Burst! MSRP $1,699.99 – Pre Order Amazon Here! At first glance, there is really no big differences on the whole with the GH5 but you have to really dig in the spec sheet to appreciate what has been done here and why the GH5 not only remains relevant but essential in the line-up! The addition of the Olympus/Pentax Style High Res shot mode allows for the sensor to merge 8 – 20.3 MP stills shots into either RAW or JPG in camera while on a tripod or very stable surface. The end product is an 80MP shot with outstanding color and sharpness that should rival Medium Format cameras. For landscapers who are shooting still life scenes, this should be worth the purchase of the camera on its own. However as we have seen with other similar systems that do the merging is that motion artifacts from foliage, water, birds and other parts of the scene could be a detriment to the shot. For product photography and studio setups, this is not a problem, however. There is a sense that the GH5 sharing the same sensor and also having a 5-axis sensor stabilizer, that it should just be a firmware release away from having this functionality built in. But the deeper buffer memory on the G9 might be needed for this to be implemented. However, the GH5 should be able to produce a 40MP shot from 4 shots without trouble if buffers are a concern. Video Crippling or Heat Buildup? As you can see from our comparison the GH5 is in a whole other league when it comes to video recording. The G9 slow motion VFR mode has only 60fps 28mbps and or 180fps recording at up to 20mbps which is a far cry from up to 200MBPS on the GH5 and the plethora of intermediate frame rates like the excellent artifact free 120fps on the GH5 which is free from resolution loss and moire. The G9 180fps VFR mode will probably be full of aliasing artifacts and has a 10min time limit. The 60fps 4k, however, should be the same quality as the GH5s with 150Mbps with of course the 10 min time limit. For 1080p the 28mbps cap on the G9 will be a deal breaker for quality and of course the 29min 59-second cap in recording as well. There is no question the G9 can’t hold a candle to the pro features of the GH5 video modes. The GH5 has heat dissipation in a class of its own according to Panasonic and why the G9 cannot go head to head on duration in video recording and bit rates for the codecs. We will not be surprised to see a hack of sorts on the G9 to remove the time limitations. However, that may damage the camera electronics by going above spec! What About the Improved In Body Stabilizer? This is really an upgrade, the GH5 allowed for up to 5 stops using Dual IS 2.0 with compatible lenses and offered about 4 stops without those lenses and for manual lenses in the best cases. The G9, however, estimates 6.5 fstops of stabilization with any lens and with or without Dual O.I.S. 2.0 However if you use the new Dual OIS lenses you gain better telephoto stabilization and a learning algorithm while walking along with the camera for example. This is a really impressive spec and it improves on the already class-leading in body IS of the GH5. The G9’s in body IS is probably the new standard for the feature on any camera! So based on that quote it will be a matter of testing the camera and seeing if it really is improved compared to the GH5 in that aspect. Panasonic may have stumbled on an improved algorithm with the G9 development team and it should be ported ASAP to the GH5 in order for it to remain competitive in this very important video-centric spec. If the G9 has better video AF than the GH5 it means that the Photo centric camera is better at AF in continuous video mode than their dedicated video product which seems like a cruel joke. We expect Panasonic to keep improving the GH5s video AF algos to be not only usable but dependable in continuous focus tracking of people and other subjects and fix the Achilles heel spec that compared to the competitive Phase AF cameras still falls flat. A much improved GH5 AF in video mode could be the killer weapon for longevity sales of this camera. In our view seeing as the G9 and GH5 share almost the same electronics, it should be entirely possible to port the AF algorithm for video mode intact and call it a day. Panasonic should get working on this immediately! Should I get the G9 or GH5? In a perfect world, we would only have a single camera for photo & video but the G9 should be your micro 4/3 camera choice for stills, there is no question. If you also do limited video you are going to be easily content with the G9 as it has 4k 60fps, 1080p 180fps and 24,30 4k and 1080p modes. This is better than most cameras the competition has to offer. However, the time limits, lower bitrate codecs, lack of 120fps 1080p slow motion which is free of artifacts, & lack of 10 bit and lack of video aids besides peaking means this camera is severely undercut by the GH5 in motion recording. The GH5 is also a very good stills camera with 12fps shooting, the same sensor as the G9 and for the most part the same image quality in RAW with only JPG being a little better and cleaner. The viewfinder while not as good as the G9s is still excellent as is the AF speed at 0.05seconds instead of 0.04sec on the G9 which is negligible. If you already have a GH5 then you are set with still the best m43 camera out there in terms of hybrid performance. If you are on the fence then the G9 is worthy for stills primarily and the GH5 for video which is the Panasonic intention by creating this camera in the first place. For slow motion there is no question that the GH5 should be your pick which allows for better color retention, better frame rate selection and higher bit rates which in the end matter a lot to quality footage. We are still probably a year and a half away from a GH6 and that camera should be outstanding and a clear upgrade from both the GH5 and G9 of today with features refined, AF that should eclipse the current offering and maybe 6k or 8k non-anamorphic video with 240fps 1080p and 120fps 4k to boot if we are lucky. New Action Dial on the G9, Beautiful and functional design! 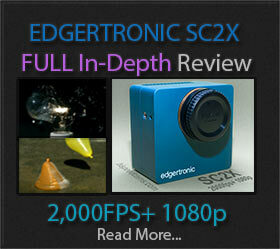 Previous Postedgertronic SC2X Review – Part 3!Next PostPanasonic EVA1 Ships Starts to Show Footage! Is it a joke that there was no mention about the one thing that haunts GH5 the most? The low-light performance. Has it improved on the G9? The post was about the different frame rates and bit rates. For high speed, you never shoot in low light as you record in several times the normal frame rates. That said the G9 and GH5 are identical sensors which mean the low light is the same which is good compared to similar sensors but behind full frame and APS-C. The GH5s with 2 stops better low light is Panasonic’s answer to the shortcomings of the m43 sensor in low light and it is class leading even compared to full frame. See our post about it. This article is ridiculous, all you care about is 10-bit video color, which is cool, but the G9 shoots 4k60p at 150mbps H265, compared to something like an iPhone X which has 54mbps and artifact. The G9 is custom tailored to the future of videography, but this article is shitting on it for no reason??? 1. 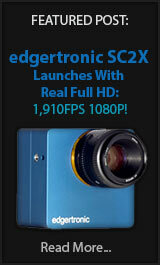 How can you complain that it ONLY has 1080 at 180fps??? If you’re blending those 180/24 = 3.5fps for each 24fps frame, I literally don’t think there’s any problem ESPECIALLY since you don’t even care how 1080p is awful resolution OR that 24fps is an awful refresh rate. More samples is better in every case where the framerate can’t be matched exactly, but you obviously don’t even care about framerate, so 180fps is A+ 100%, for anyone people who uses the normal intervals of 30 and 60. – THE ROWS ARE FLIPPED WTF???? Had me COMPLETELY confused because the labels like CODEC DON’T EVEN MENTION WHAT THE CODEC IS. The terms are framerate, bitrate, and codec (h265). Article is ridiculous. 3. And about 4k, 4k60p is the future, any gamer knows that 60 is the lowest acceptable framerate. 10 bit is awesome, but NOT at 24fps while giving me a seizure. 4k24p is fine for a faster, brighter shot at night, but so is 1080p or a better lens. The point of the article is that the GH5 has a much better VFR bitrate and quality than the G9 at 200mbps vs 28mbps and allow many more frame rates in between the extremes. The videos posted are just linked to, we are not responsible from that content. The G9 is an excellent camera that has a good video mode but not as good as the GH5.